A decade or two ago, it was relatively easy to keep customers happy. As long as their order got to their house within a day or two of the scheduled arrival date, people were happy. Customers today are much more demanding. They want their items to arrive quickly – on the next day or even the same day that they placed their order. Is your business efficient enough to offer same-day delivery? Let’s explore the world of route planning. Planning routes by yourself is a nightmare. 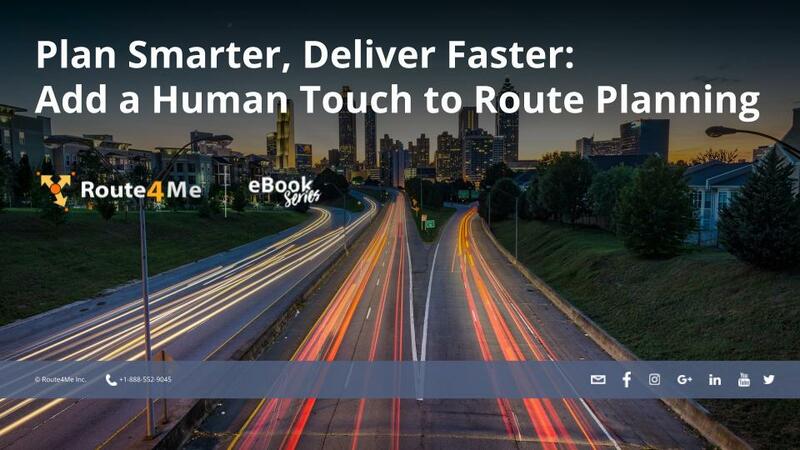 There’s more to it than just figuring out which roads your drivers must take to reach your customers. You also need to account for traffic, weather, construction, customer availability… that can take hours. And after all that work, there’s no guarantee that the routes you come up with are actually efficient. But there’s no reason to plan routes by yourself. Route planning software will do the hard work for you. All you need to do is plug in the addresses of your customers. Then, the software will produce a 100% accurate and optimized route for you in 30 seconds or less. Final mile delivery software guarantees that every route you give your drivers is the most efficient route possible. Well, more efficient routes means you won’t need to pay for as much gas. In fact, studies show that route planning software can cut your fuel costs by up to 30%. How do you like that? Everyone tends to slack off at work when they’re unsupervised, and drivers are almost always unsupervised. Your drivers might be stopping for snacks or running personal errands while they’re on the clock. You can’t see them, so how do you know?